We re-purpose leftover balcony awnings. 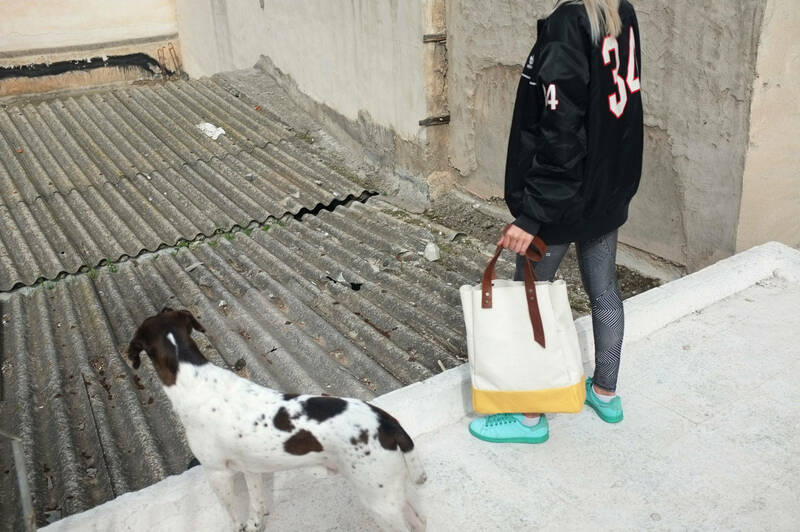 All our products are individually designed, cut and sewn by us. Every one is made unique; we put a little bit of ourselves in each. 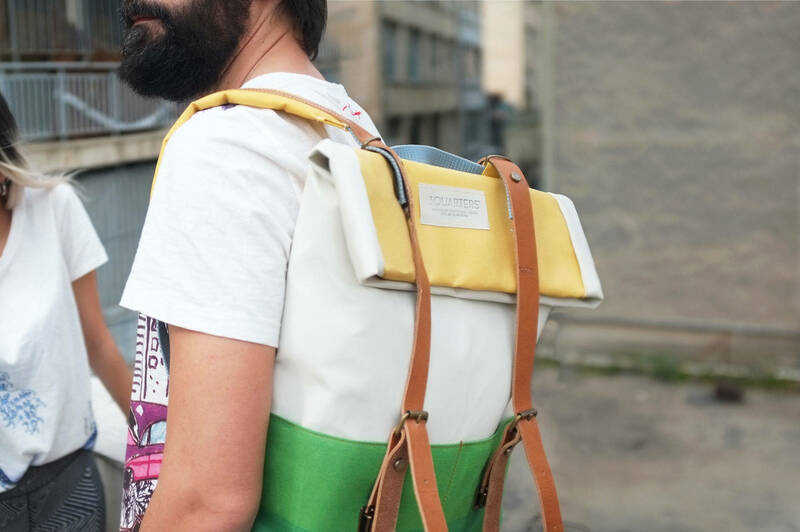 A modern urban backpack. Expandable, sturdy and waterproof. Simple, spacious and stylish. The perfect all-day bag. The classic messenger bag. Simple, efficient and compact. A beautiful clutch with a twist - it unfolds to become a stylish tote bag. 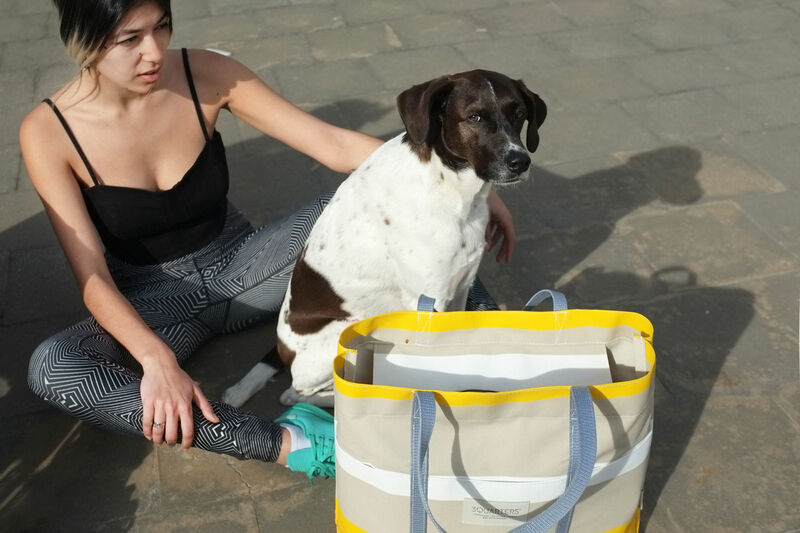 The beach bag, picnic bag, shopping bag, yoga bag, everyday-everything bag. We are part of the Fashion Revolution movement. We dream of a sustainable, socially and environmentally conscious fashion.